As we are concerned with our own staff’s mobility, we also gladly welcome mobile staff from other countries. If you are interested, please first get in touch with your International Office or the contact person for international relations at your degree programme/faculty at your home institution. This is to ensure that there is an existing cooperation agreement between your institution and ours and that this agreement covers your area of interest. You can find a list of our current cooperation partners here. Once this has been clarified, please send an email with a short description of your intended project including 3 possible dates to international@campus02.at. The International Office at CAMPUS 02 will get in touch with the relevant colleagues and departments and will inform you about the next steps. If you have any questions, do not hesitate to contact the International Office. 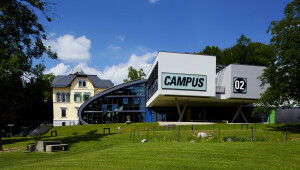 CAMPUS 02 University of Applied Sciences is looking forward to welcoming you!